A progress report is a report of which the main idea is to present the data on the progress of work done on the achievement of the project’s objectives, the execution of works on time, spending of the budget, and projections during the course of the project. A progress report is an evaluation which provides details about what aims were achieved, which resources were used, which problems were detected, and whether the process would be done on time and according to the budget. Knowing the aim of a paper is important if you want to know how to make a progress report. A progress report is written to tell a boss, a co-worker, or a client about the progress achieved in the project in a certain period of time. A project may be a design, construction, reparation of something, research of a problem or an issue, or collecting information on a technical subject. A progress report is written when you need more than three or four months for completing a project. how the project is progressing in general. They convince recipients that you are achieving progress, that the project will be completed by the expected date. They present recipients a brief overview of some results or a particular part of the project. They give recipients the ability to evaluate your work on the project and ask for changes. They give you the ability to discuss the problems in the project and warn recipients about them. 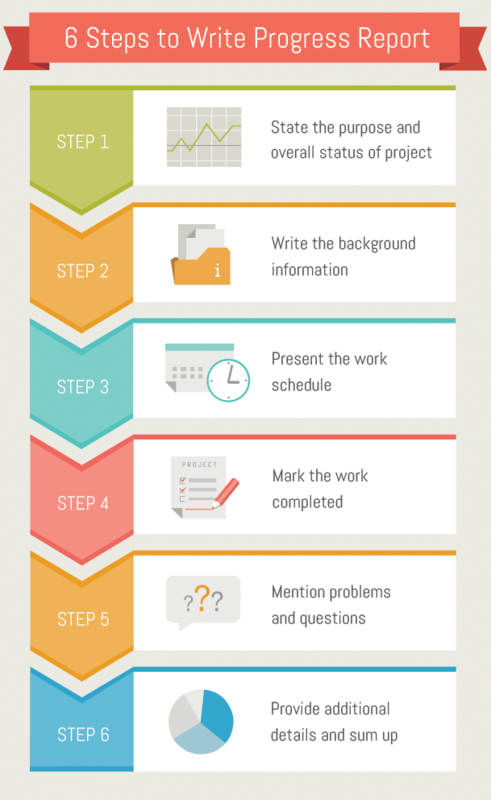 They make you set a schedule of work to complete the project on time. State the purpose and overall status of the project. Here it is necessary to formulate several goals of the project, from which it becomes clear why the project is being conceived. Write the background information. Here you may provide all the necessary information about the project that gives an overview of its progress. Present the work schedule. Provide the information about how you are going to move your project forward. Make a plan of your future tasks which should be implemented in the particular period of time. Specify dates which will be the deadlines of the tasks. Mark the work completed. In this section, you should describe what work has been already done. One of the best ways to do this is to set your tasks in chronological order. Make two columns. In one column, specify dates, and in the second column, specify tasks which your team has being working on. Also, you should include information of the key conclusions here. Mention problems and questions. Provide explanations on how you have solved problems or how you are going to solve them. Also, describe any changes caused by these problems and indicate whether any help in the project is required. Provide additional details and sum up. Indicate only the most important information about completed work. Also, indicate a brief description of problems which your team has faced and recommendations for their correction. Check out our infographics as well! A progress report template analysis has been carried out to help you deal with your own business paper. 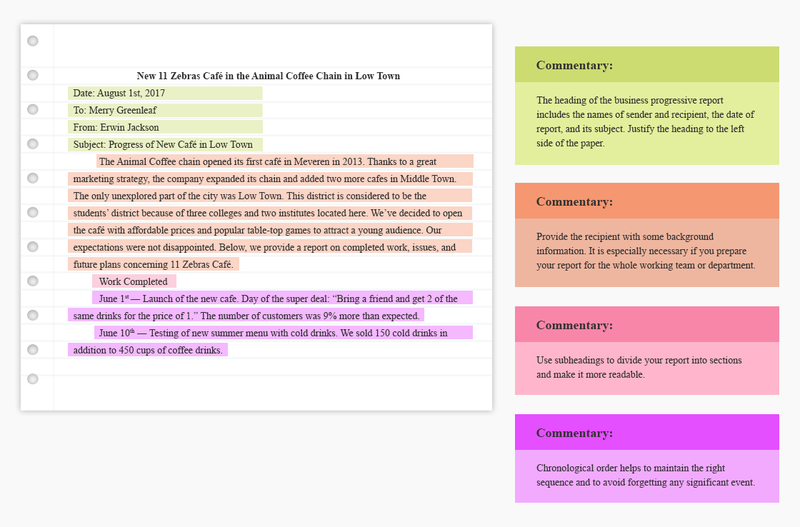 With the following analysis, you can complete your report faster, as it gives you the idea what to include and what to avoid. Check out the following analysis of a progress report example for projects for better understanding the principles of writing a business paper. Check out some tips that will help you to understand how to do a progress report in the right way. Create one report for everyone. However, doing this can be difficult. Create one report that will work for all interested parties. Senior managers and sponsors of the project want to check quickly whether everything works well in your report. Thus, you will need to perform at the highest level while writing a report. If they won’t be able to quickly and easily get this information from your report, your report will be considered of poor quality. Good news: if you can present information about the status of the project at its beginning, life will be much easier for you. As soon as you have a format which will please everyone, it will work for most of your projects with slight changes in each project. We hope that after several projects, you will find your own concrete report about the status of the project which everyone will like. Include information about the budget. Everyone needs this, especially your boss. Are you looking for budget for a week? Do you forecast according to the factual data? Are you avoiding hidden costs? Keep in mind that interested parties should see the budget in any case. You should think about the issue that some managers are not even going to read a brief summary. That’s why you should always offer participants a small overview. Forget about words; you should use symbols and colors. For example, you can choose green, yellow, and red circles for indicating key areas of the project status. Of course, it will be convenient for you to inform about the project state. They will be pleased on how easy it is to see whether the project works or not. It is used usually for bosses who want to know in the fastest possible way whether your project is successful or not. Create it according to this method. Concentrate on what is going to be further. You should focus on what you have done. You should put all of your strengths on thinking about what is going to be next. Interested people should know what your role was in the project. Those who are assigned a task know better what is going on right now. Presenting this information is important for the success of the project, so make it the most significant part of the progress report. A perfect progress report stimulates progress. A progress report should be your tool for successfully launching a weekly status call with a customer. Make it detailed and oriented on the future. You will be surprised on how well your report will be used if you are able to find out how to meet the needs of most people with the help of only one progress report. You will save time every week by creating only one progress report. Experts require reports to be drawn up on their work correctly, and for this purpose you should always have a report plan. It is also advisable to prepare a template in which you will enter actual results and data later. – a consolidated report on the work of the structural unit – within 5 years. If document management is established in the organization, then the approval of the form of employees’ progress reports will be adequate. You now know how to create a progress report, but you should also know what mistakes to avoid in your writing. Using a report to find out who has finished the most tasks. Instead, you should communicate clearly what information is expected. Spending time on collecting information over email. Instead, you should use special online reporting programs. Asking different questions from various employees. Instead, you should ask the same questions in order to get the most correct information. Not sticking to the deadline. A progress report is a rather serious paper for the company, so it should be done on time. Writing a lengthy progress report. Instead, your report should be concise and clear without unnecessary information. Writing down all thoughts that come to your mind. Instead, make the information relevant for all readers. Keeping the information only to yourself. Instead, the information should be available for everyone. Using the progress report only like an informative source. Instead, you should give relevant feedback to all employees. Treating it simply like a way to monitor progress. Instead, you should demonstrate value to employees. Spending time on sending notifications and collecting information. You can instead use a program to automate the whole process. 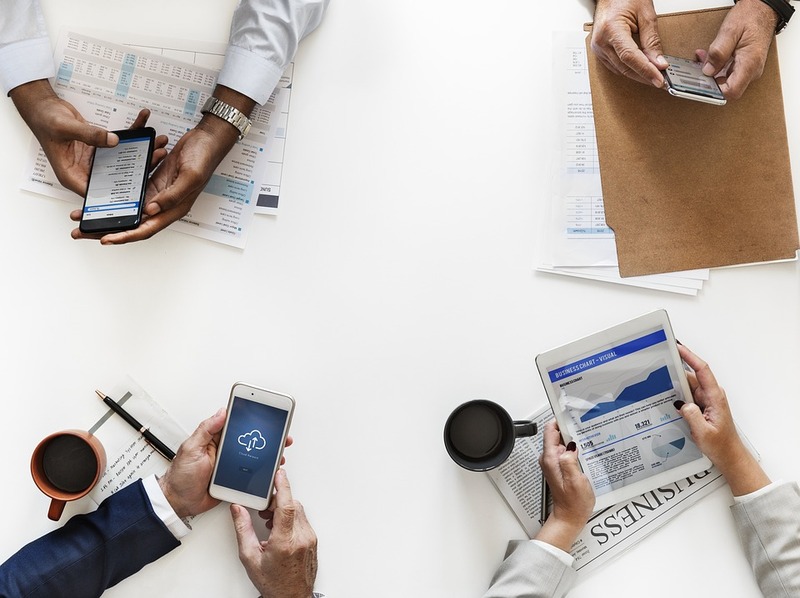 Increasingly, employers require their employees to report on their work, no matter what kind of work they do, what positions they hold, or how long they work for the company. And, as a rule, this right of the employer is not prescribed in any internal documents of the company. However, the task is assigned and you should complete it in any case. After reading through our post, you have learned how to write a progress report, and writing this type of business paper will not cause any difficulties any more!